WASHINGTON—Weighing the importance of the information against the potential political fallout, Senator Dianne Feinstein (D-CA) debated Friday whether or not now might be a prudent time to introduce into discussion the seven highly credible murder accusations against Brett Kavanaugh that were given to her in August. 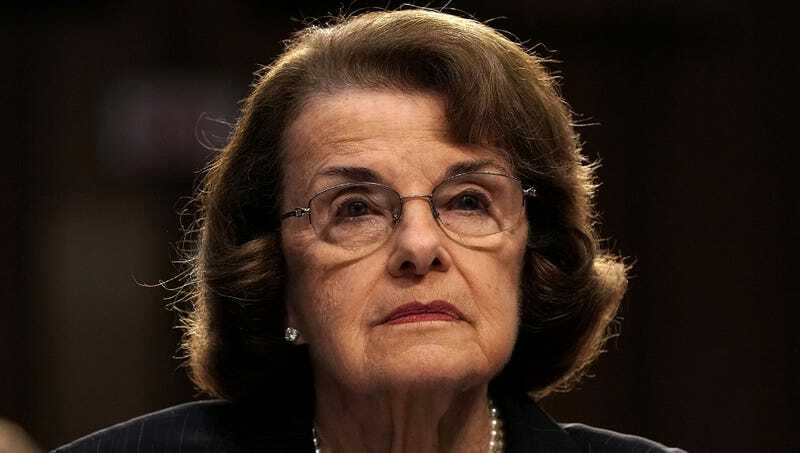 “Roughly five weeks ago, the family members of five slain women and two men presented me with dozens of file boxes full of concrete, corroborated evidence that Kavanaugh was personally and solely responsible for the deaths, and I’m now experiencing a strong feeling that maybe the other Senators, the media, and the American public should know,” said Feinstein, who also disclosed that dozens of people had come forward with information further connecting Kavanaugh to a string of brutal stranglings committed from 1986 to 2011, but had been turned away over concerns that it wasn’t relevant to the confirmation process. “His fingerprints are all over the crime scenes, there is DNA evidence from blood he left, and there are three dozen eyewitnesses. But information like that could really energize the Republican base, so you can see my dilemma here.” At press time, Feinstein had decided to sit on the evidence until a more politically expedient time.